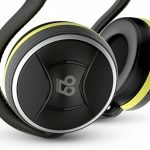 Jabra’s latest Sport Pulse Wireless earphones don’t just provide impressive audio quality – they can also monitor your heart rate at the same time. Previously anyone who wanted to listen to their music during their workout and check their heart rate at the same time had to use two separate products. Capturing your heart rate involved wearing a band around your chest with that information sent to a watch or a separate app. 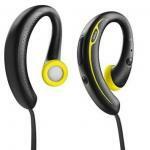 Now with the Jabra Sport Pulse Wireless earphones you can do all of that with one product. 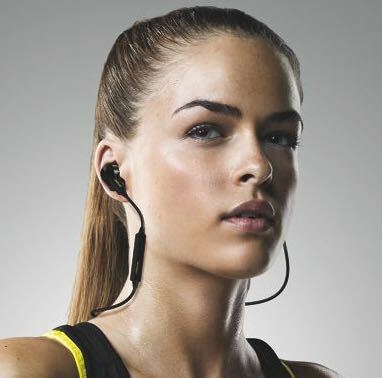 Most of us like exercising while listening to music and now the new Jabra earphones take that to the next level. 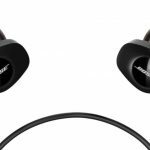 The earphones are only slightly larger than regular headphones which are pretty impressive when you think they’ve got a wireless Bluetooth connection and a heart rate monitor inside. These are housed in small nodule that actually helps anchor the ear buds along silicon tip. 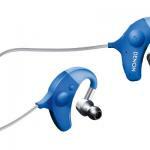 Once they’re in your ears they won’t come out until you take them out so even during a run they sit nicely in place. There are a few silicon tips that come with the product so you’ll find the fit that’s just right for you. Like any Bluetooth earphones they have to be paired with your smartphone. Usually you look for the device’s name in your Bluetooth menu and then pair them. 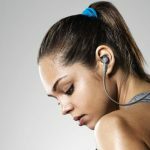 But in the case of the Jabra Sport Pulse Wireless earphones they have to be paired twice – once for the audio link and the second time for the heart rate monitor. This way you get the music and your heart rate at the same time. Unfortunately this wasn’t made obvious in the Jabra’s instructions and the only reason we knew we had to do it was because there was a piece of paper describing what we had to included with our review unit. The earphones actually tell you when your device is connected and before realising the dual pairing we heard we were paired and saw it in the list of devices in Bluetooth but couldn’t hear our music through the headphones. Eventually we paired everything we needed to and we were able to get on with our review. The Jabra Sport Pulse Wireless earphones have a companion app called Jabra Sport Life to allow you to see your heart rate and gather the information about your workout. It’s easy to see when the earphones are detecting your pulse – you see a small beating heart and a figure beside it – that’s your current heart rate. You can choose the activity like running, walking, cycling, hiking, skating and even walking and running on a treadmill. You can also choose how you want to work out whether you want to set a target distance or pace or interval training. There’s also the option for zone training where you can set a heart rate level for an intense or cardio workout or to hit the fat-burning level. The fact that the earphones can detect your heart rate and even tell you if you’re in the zone or need to try a little harder is quite powerful. It’s like you very own personal trainer in your ear and something that can be used for people get in shape and stay in shape and meet your fitness goals. The Jabra app can also track you with GPS so you can also map your workout as well. And what about the audio? Jabra has once again produced earphones that deliver on the music side as well. Audio quality was above average with decent bass levels to give your workout an impressive sound. Music and calls can be controlled through the remote and microphone near the right ear piece. There is a slight noise cancelling effect courtesy of the seal from the silicon tips so if you’re out running with the music blaring you need to exercise caution especially if you’re running on or near roads and traffic. The earphones are sweat and waterproof and can be used in any conditions and no matter how intense your training session is. Battery life is also impressive with up to five hours of playback and we found the device retains the charge even when you haven’t worn the headphones for a few days. The Jabra Sports Pulse Wireless earphones provide a useful all-in-one solution to track your training complete with heart rate readings while still plugged into your favourite music.